If you're wondering how to make your neck lighter, you've probably fallen prey to a common mistake for most of your life: lavishing attention on the face while completely ignoring the neck. Don't blame yourself, though - it happens to the best of us. Most of us spend a lifetime slathering on day creams, night creams, sunscreens and spending a fortune on cosmetics for our beautiful faces while completely forgetting the very important neck that's attached to it. Often, we don't notice what we've done until we're facing the consequences of a slightly more weathered, darker and duller neck. But hey, at least you caught it now. And no, you don't have to live with a neck that's a different color from your face for the rest of your life. Lucky for you, there are a number of brilliant ways to do quick damage control and lighten your neck skin. Here are your best options! Skin lightening home remedies are ever popular because when you notice that difference in skin color, you want to do something about it - immediately. And home remedies allow you to do just that, by reaching in your kitchen or bathroom cabinets and transforming everyday ingredients into ready-to-use skin lighteners. So what are the best ones to slather onto your neck? Here are the ones you probably have sitting around in your kitchen and can put to use right away! Yogurt. This creamy, lovely stuff is the perfect consistency to make into a neck mask (especially when mixed with one of the other natural lightening ingredients below) and it contains lactic acid to speed up cell turnover and reveal newer, brighter skin. Citrus fruits. These sour, zesty fruits have one huge claim to skin lightening fame - they all contain heaps of Vitamin C, which is a natural exfoliant and skin lightening agent. 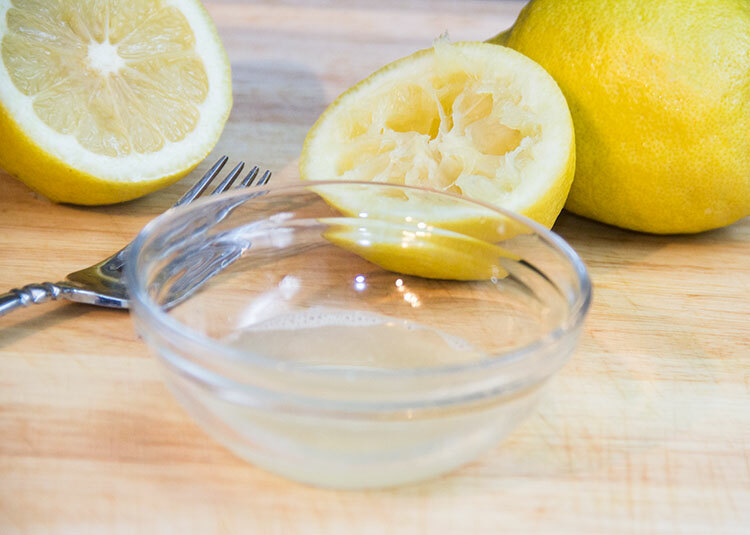 You can add it into your beauty regimen with something as simple as diluting lemon juice and using it as a rinse-off toner, squeezing lemon juice into your DIY face masks instead of water, or even going a step further to grind up (organic) orange peels to use as a brightening and lightening neck mask. Potato. Want instant whitening? Reach for a raw potato. All you really need are the juices so you can either grate it and collect the juices to mix with a skin lightening powder (rice flour, gram flour, etc.) 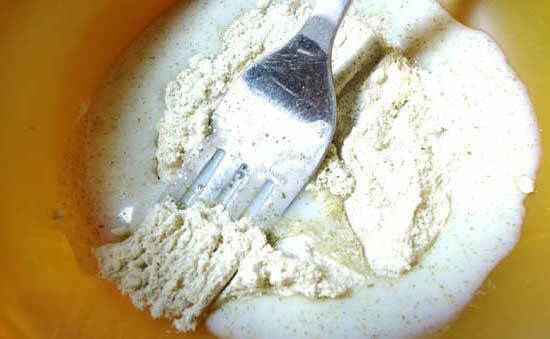 or you can grate the potato and then mix it with yogurt to create a more hydrating neck mask. The starches found in potato juice provide an instant lightening that you'll see as soon as you take it off. Ginger. This spicy rhizome is not an instant miracle worker, but it contains a compound called gingerl that effectively suppresses intracellular tyrosinase (an enzyme involved in melanin production) and decreases the amount of melanin over time. Grate it fresh to use in your face masks or pick up ginger powder. It can sting, though, so mix it with gentler and more soothing ingredients and use sparingly! Want to know more home remedies for skin lightening? One of the most underrated and yet most important aspects to getting lighter, brighter skin is exfoliation. This stuff is critical! Why so? 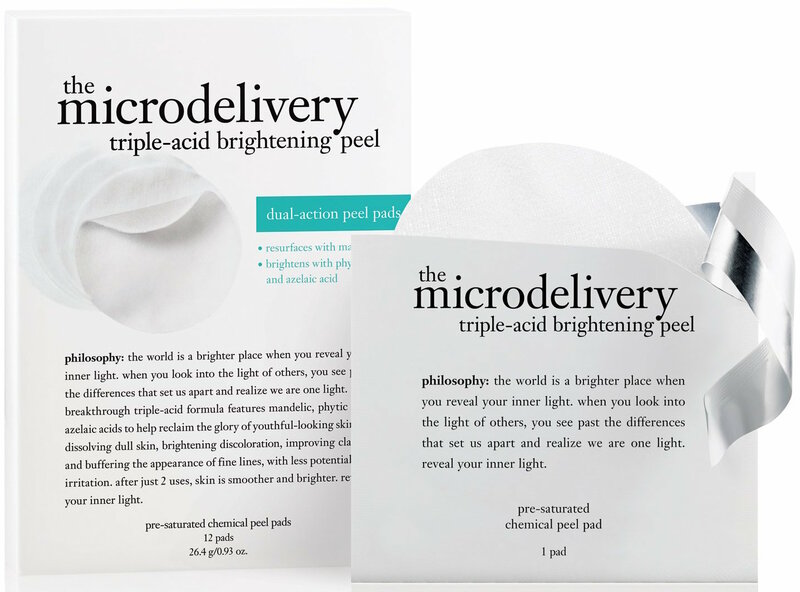 Exfoliation peels away dead, rough and uneven layers of old skin to reveal new, lighter and more even skin underneath. You don't even have to bust out any skin lightening ingredients. A thorough exfoliation regimen can sometimes be enough to even out hyperpigmentation and make your skin tone lighter and brighter. In fact, if your neck skin is not much darker than your face, you may just need a little exfoliation goodness to bring it to the same shade as your face tone. So what are the best ways to exfoliate? There are so many choices from manual exfoliators like exfoliating mitts to sugar scrubs, but when it comes to your delicate neck skin, the best way to exfoliate is with chemical exfoliants. Not only are chemical exfoliants like alpha hydroxy acids (AHAs) and beta hydroxy acids (BHAs) gentler on your skin, they go above and beyond what what you can get with a simple scrub. Whereas manual exfoliants like sugar scrubs and loofahs can only polish surface skin cells, chemical exfoliants penetrate deep into the skin to gently "unglue" dead skin cells and slough them off your skin. Glycolic acid has the smallest molecules of all the alpha hydroxy acids (AHAs) allowing for deeper penetration into the skin. That means a more intense exfoliation but also can mean more irritation, especially if you have sensitive skin. Lactic acid has larger molecules and is a much gentler alpha hydroxy acid (AHA), making it ideal for sensitive skin. Rest assured, it still does a great job of exfoliation. 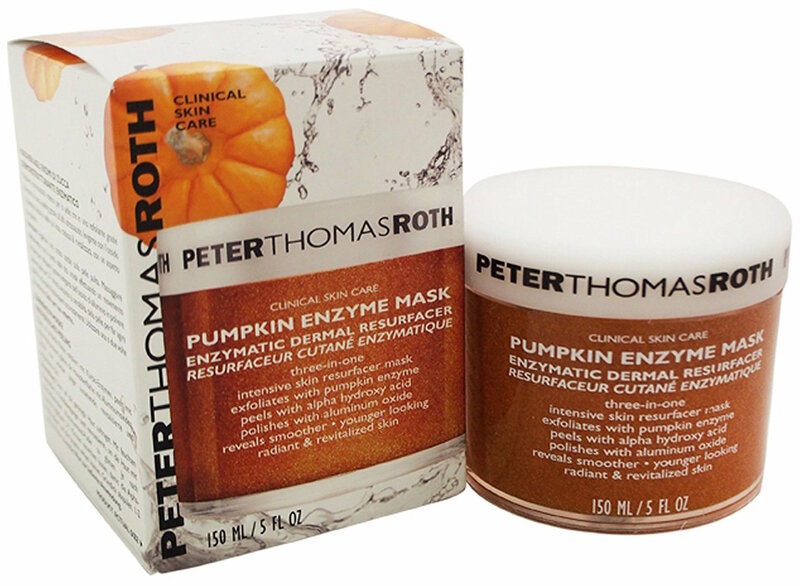 Fruit enzymes are found in naturally exfoliating fruits like papaya, figs, pineapple and even pumpkin. These are the gentlest chemical exfoliants you can get your hands on, making them the perfect choice for more-sensitive-than-thou skin types. Salicylic acid is a beta hydroxy acid (BHA) that distinguishes itself by being oil soluble, which makes it uniquely suited to penetrating into the pores of the skin. This is a great chemical exfoliant for those with oily, blemish-prone skin, allowing you to kill two birds with one stone. Oh, and in case you need a little more neck lightening than exfoliation alone can provide - you still want to exfoliate 'cause the skin lightening cream or lotion you use after the exfoliating wash will soak in and absorb a lot deeper, allowing you to see better results faster. If you're a DIY-loving, crunchy beauty aficionado, you'll be happy to know that there are a bevy of natural skin lighteners that you can use to gradually transform your neck into a lighter, brighter version of its current self. Which is perfect if all you're looking for is a little bit of lightening - because these natural skin lighteners aren't capable of taking your skin tone several shades lighter. They're not melanin inhibitors, after all. For centuries, Asian women have been using rice water and rice powder for naturally softer, healthier, and lighter skin. Why? It actually works - and fast, thanks to the starchiness that the rice imparts on the skin, providing an instant brightening. 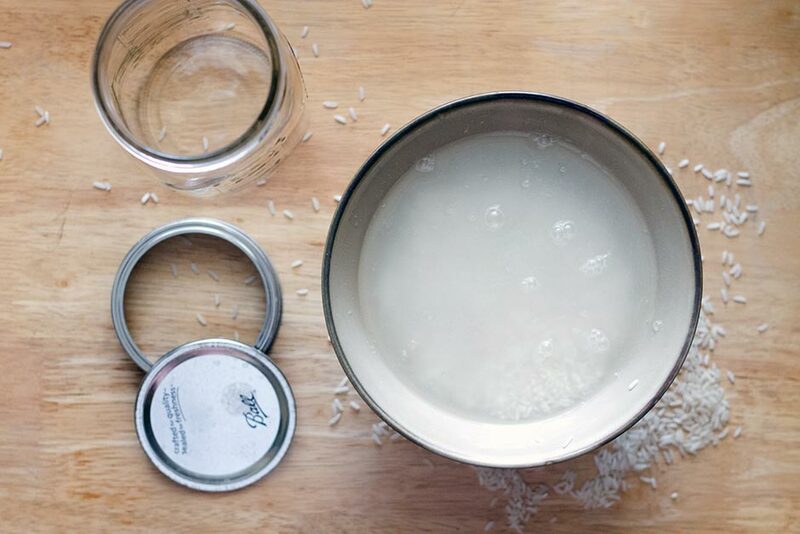 And it's not just a temporary fix - rice contains para aminobenzoic acid, ferulic acid, and allantoin, among other nutrients that protect and lighten the skin. This grainy substance hails from India and Southeast Asia where its been used for its instant skin whitening benefits of ages. To be honest, we have no idea how or why it works - we just know that you see visible whitening and brightening after a simple 15-minute mask. And you need is just gram flour and water. It's an obvious difference that can get addicting. You've been warned. Another natural Asian skin whitening secret, pearl powder has long been used in traditional Chinese medicine. Its claim to fame? Pearl powder contains a unique protein known as conchiolin, which is responsible for giving pearls that luminous shine they're prized for. The cool thing about this conchiolin protein is that it contains over 20 amino acids that are surprisingly similar to the amino acids found in collagen, which is how pearl powder helps regenerate and revitalize the skin. There are natural skin lighteners and then there are natural skin lighteners. Here's what we mean: the above natural skin lighteners like rice powder and pearl powder are wonderful for subtly lightening and brightening your skin but if you're looking to get your neck much lighter than it is now, you'll need an ingredient that effectively inhibits melanin production. Enter natural melanin inhibitors. These guys are the true lightening, whitening agents. They go to work inhibiting the tyrosinase enzyme and interfering with the melanin production process. Over time, your skin stops producing as much melanin. Result = lighter skin. So which ones are the best? There are oh, so many but in our humble opinion, the smartest way to get better, quicker results is to use a combination of natural melanin inhibiting ingredients in a few different forms. Here are your best options! If you've been looking into skin lightening ingredients, you already know about lightening soap, which is a great way to get neck lightening benefits as you shower. The best lightening soaps out there contain a potent concentration of kojic acid, which is the second most popular skin bleaching ingredient around. 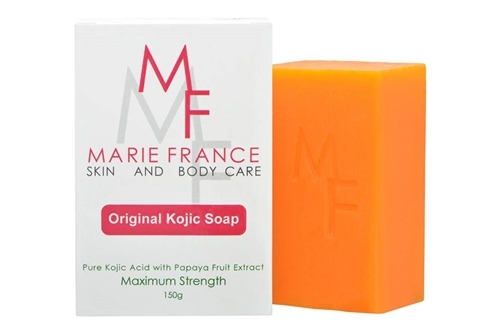 Kojic acid also has the benefit of being all natural - it's a by product in the process of making sake - and is a gentler yet very effective alternative to hydroquinone. How does it work? It inhibits the conversion of tyrosinase to melanin and interfering with the uptake of oxygen required for enzymatic browning. And it comes with heaps of other skin benefits on top of its skin-lightening abilities, like protecting skin cells from oxidative damage and treating bacteria-caused acne and blemishes. Simply lather, apply and let it sit on your neck skin for around 10 to 15 minutes before washing it off. 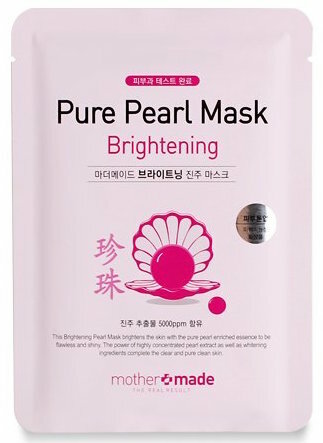 Masks are pretty awesome, delivering a quick dose of lightening and brightening ingredients to your skin to instantly perk up a dull, beat up complexion. To get a lighter neck, you'll want to look for masks that are stocked with natural melanin blockers as well as hydrating, soothing ingredients to leave your skin lighter and healthier. 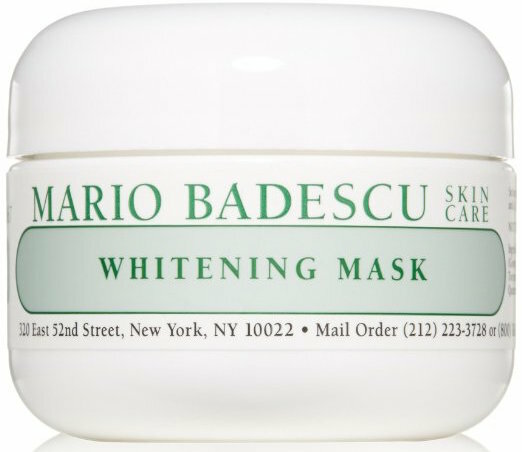 Our favorite for lightening the neck is Mario Badescu's Whitening Mask - it contains a potent combo of kojic acid, licorice extract and mulberry extract, all of which inhibit melanin production to naturally lighten the skin. You can also go with whitening sheet masks like Kose's Turn White Vitamin C Facial Masks, which are super affordable and loaded with Vitamin C to produce an immediate, noticeable lighter difference to your skin tone. The only thing about sheet masks is that they're made for the face but you can always use the leftover liquid to slather it generously onto your neck as well. Soaps and masks are great but the best way to lighten neck skin is to go for a serum, cream or lotion that's stocked with melanin inhibiting ingredients. Why? 'Cause soaps and masks only stay on your face so long whereas a cream is able to do its job for hours at a time. The best lightening cream for your neck is hands down Meladerm, simply due to the fact that it does not skimp on ingredients. 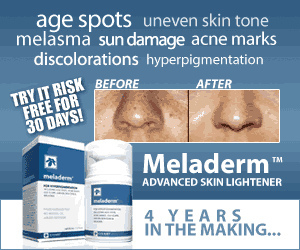 Whereas the majority of natural skin lightening creams will use one, two, or three natural lightening ingredients - Meladerm contains a lineup of the most effective natural skin lighteners in their cream, like Licorice Extract, Arbutin (Bearberry Extract), Alpha Arbutin, Mulberry Extract, Kojic Acid, Vitamin C, Sepiwhite, Gigawhite, and several other plant-derived skin lighteners. 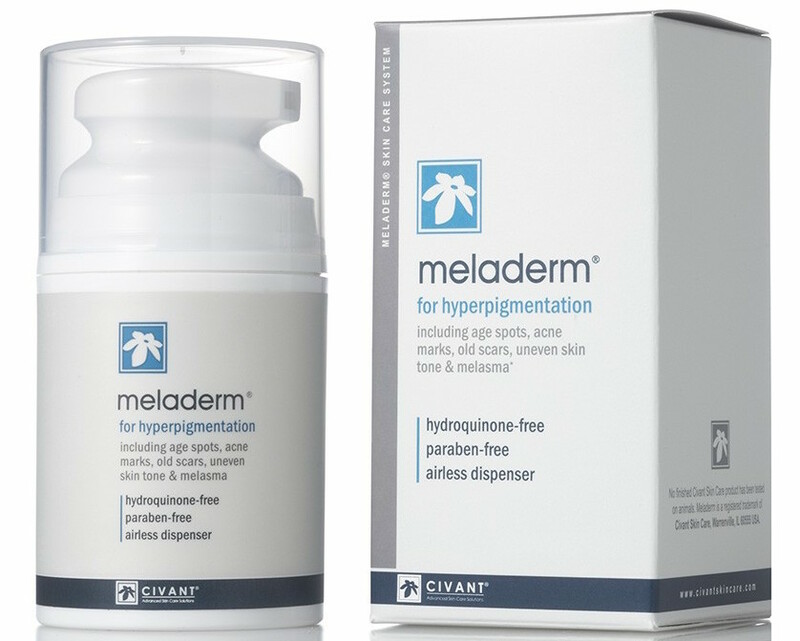 On top of this, Meladerm cleverly combines gentle yet effective exfoliants like Lactic Acid to help get rid of dead skin cells so the lightening ingredients can penetrate deeper into your skin. Oh, it's also free of irritants like parabens, artificial fragrances, colors and oil so it's safe for all skin types. It'd be remiss to talk about how to make your neck lighter without mentioning hydroquinone. After all, it is the most popular skin lightening ingredient out there. And hydroquinone products are popular for a reason: they work. And these creams aren't just good for lightening freckles and fading away age spots, acne scars and sun damage - hydroquinone is also capable of lightening your skin by several shades. The drawback, of course, is the potential for side effects, although they can be avoided as long as you are aware of them and follow the recommended guidelines to using hydroquinone safely. So what's the best hydroquinone product to make your neck lighter? 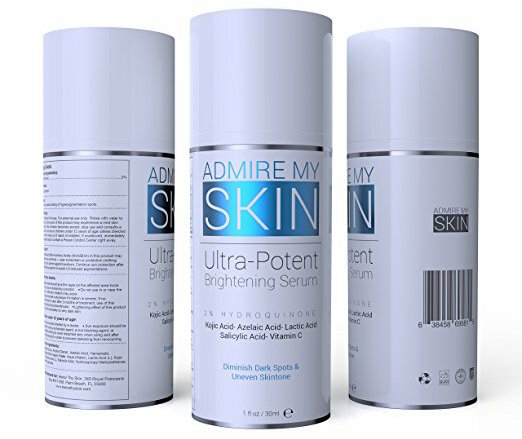 There are a lot of great creams and serums out there but we'd recommend Admire My Skin's Ultra Potent Brightening Serum - it contains the maximum percentage allowed for over the counter hydroquinone (2%) and even goes a step further, combining it with natural skin lighteners like Kojic Acid, Azelaic Acid and Vitamin C for extra potency. It even includes exfoliants in the form of both alpha hydroxy acids (AHAs) like Lactic Acid and beta hydroxy acids (BHAs) like Salicylic Acid. The result is a super effective, potent serum that will get your neck to the shade you want. It's time to be very, very frank: all the above soaps, home remedies, creams, serums, potions and masks won't do you any good if you aren't vigilant about using the one most important thing to make your neck lighter. Yup, you guessed it, we're talking about sunscreen. Sunscreen not only prevents your neck from getting even darker than it is now, but it is an absolute must have especially if you're using the neck lightening products and ingredients above. Keep in mind that many of the above ingredients - hydroquinone, kojic acid, licorice root, etc. - are all melanin inhibitors and as they reduce the amount of melanin in your skin, your skin is less protected and more susceptible to the sun's rays. That means you need to be religious about using sunscreen. The good news, particularly for all of you who find sunscreen a bit of a bother, is that there are sunscreens that totally make it worth the extra two minutes of application. Whitening sunscreens, for example, come loaded with not just SPF but skin lightening ingredients that work to suppress melanin production andleave your skin looking lighter and brighter. It's a clever way to get instant whitening, sun protection and make your neck lighter in the long run. Win, win, win!